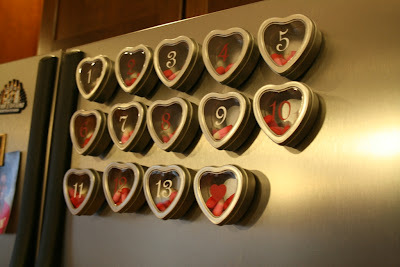 Here is a cute idea for a Valentine’s Day Advent Calendar or countdown to Valentine’s Day! 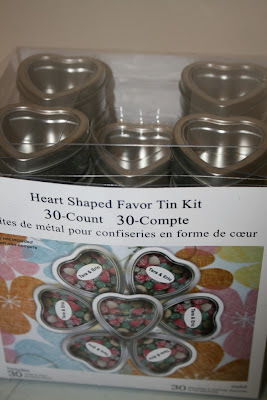 I can’t take credit for this one, my best friend Tiffany thought of it, she is amazing. 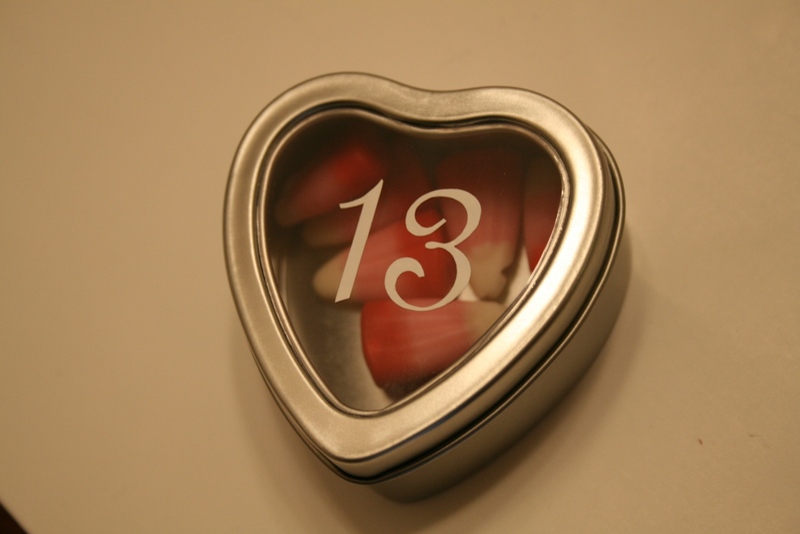 And my kids just love getting a little candy everyday until Valentine’s day…. And luckily they are magnetic so all we did was put some round little magnets on the fridge and put the hearts up. (you can glue the magnets on the hearts but it isn’t necessary. 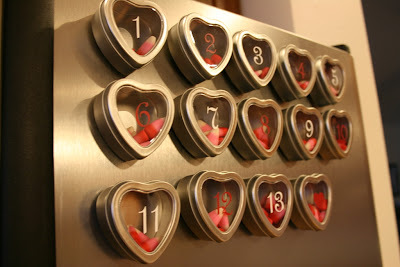 Perfect Valentine advent calendar! 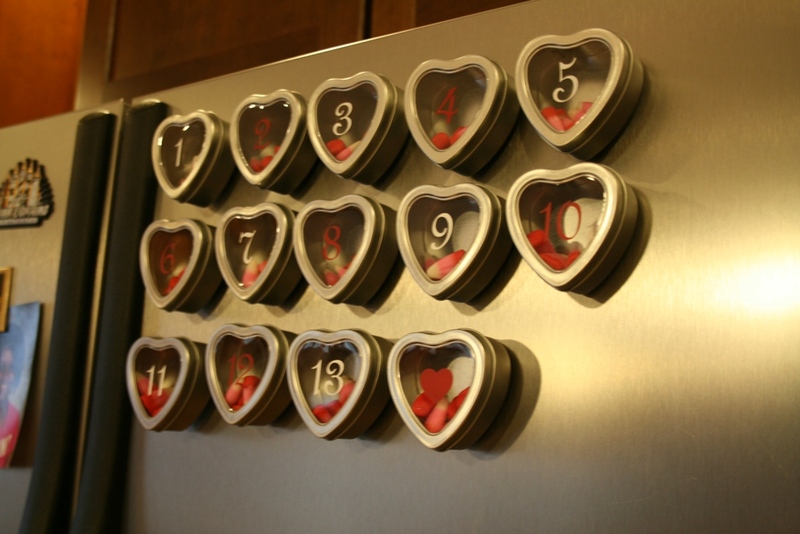 You can also put them on a little cookie sheet and set up in the kitchen if your fridge is not magnetic! 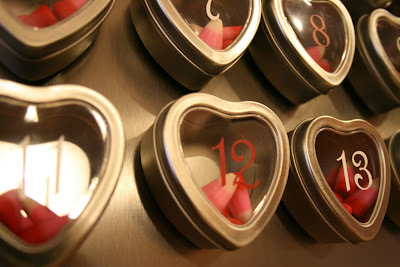 Tiffany did all her numbers in white and filled her hearts with conversation hearts, looks adorable too. Enjoy!